Call Uncle Joe, Aunt Cheryl or Cousin Tom! 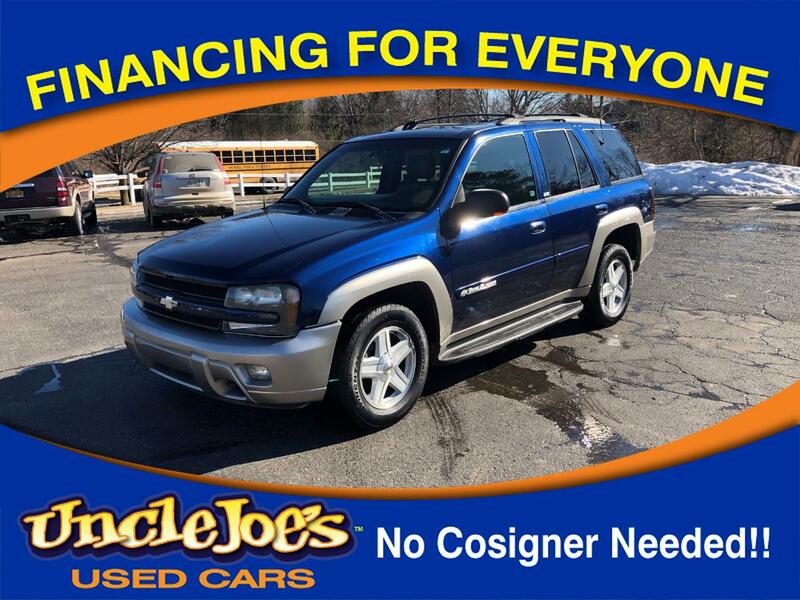 Warranty Description: Yep….this includes the “World Famous Uncle Joe’s Warranty” and if you want the best upgrade you could ever imagine, for only $199.00 (and you have 90 days to upgrade) see you Cousin Sales Associate for details. Due to added equipment or additional repairs prices are subject to change without notice. Prices in pictures and various websites are subject to the price verification at the time of sale, see your sales consultant for any updated prices. Management diligently tries to keep prices updated but are not always successful. We appreciate your understanding. Message: Thought you might be interested in this 2002 Chevrolet TrailBlazer.